•	the vehicle is out of service for repair for a cumulative total of twenty or more calendar days since the original delivery date and the defect persists. 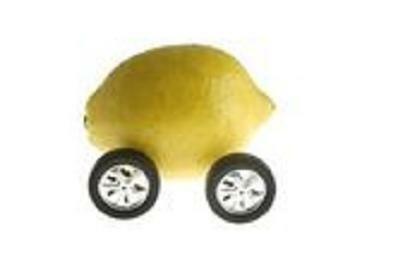 There are several options available to consumers whose vehicle is presumed to be a lemon. Our experienced New Jersey consumer litigation attorneys can negotiate with the manufacturer and dealer to have the vehicle replaced or a refund provided. Our experienced attorneys can also help file a complaint with the Lemon Law Unit of the New Jersey Office of Consumer Affairs. The Department will then investigate the matter and attempt to resolve the issue for the consumer. A hearing will be scheduled within twenty days if the issue cannot be resolved amicably. An administrative law judge will be assigned to the case. Alternatively, we can help you file suit against the manufacturer seeking damages that will include the purchase price or leasing costs of the vehicle, finance charges, tax, tags, registration fees, and attorneys fees and costs. If you believe that your vehicle is a lemon, our New Jersey consumer litigations attorneys can help. McLaughlin & Nardi’s attorneys regularly represent consumers in negotiations, arbitration, and litigation. To learn more about what we can do to help, please e-mail us or call (973) 890-0004.